Often, people ask us “when should I hire an attorney?” The answer, of course, is “as soon as possible after the injury and/or accident.” Obviously, that answer comes with quite a view caveats. 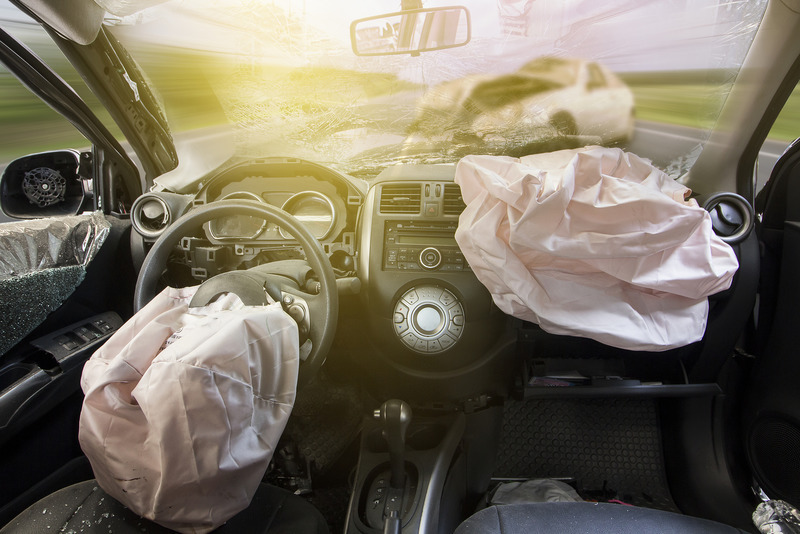 Clearly, the first thing you have to do is make sure that you are safe after an accident. Once you’re no longer in danger, the next item on the agenda is to make sure that you can get the kind of medical attention that you need. That means calling a paramedic, talking to the authorities, going to a hospital and being checked out, that manner of action. Once that’s done, then it’s time to get an injury attorney in los angeles. The sooner we get started, the sooner we can help. When you’re laid up in the hospital or recovering at home from some kind of accident, the last thing you ever want to worry about is your personal injury case. Between the family members that care about and are worried, to the work that you want to get back to, there’s so much more for you to worry about than your case. Of course, it’s also perfectly understandable for you to be concerned about your case as well. That’s all the more reason we believe to schedule a free consultation with our personal injury attorney in Los Angeles as early in the process as you can. See, the sooner you schedule our consultation, the sooner we can get on your case. The other side, of course, you can’t assume will have any kind of hesitation whatsoever. You have to know that they’re going to have their attorneys on the phone immediately; ready to get started. You don’t want to fall behind in the investigation (or any other portion of your injury case) if you don’t have to. The sooner you hire someone to represent you, the sooner you can get on making your case that you need. Once you’ve involved our personal injury attorney in Los Angeles, we can get started on the investigation. We have professional investigators that we’ve worked with many times in the past. They know exactly what to look for in a personal injury case. They’re aware of what makes a case more compelling, and what isn’t really necessary information to help that particular goal. They can go through the site of the accident and collect the data that will make your case all the more compelling. Of course, that’s all the more reason to get involved with an attorney more quickly. Say you were injured in some kind of vehicular accident on a major street. The evidence isn’t going to be there forever. Skid marks can be washed away rather easily. If there’s physical evidence (debris on the side of the road, dented trees, and so forth) that’s going to be moved and possibly quite quickly. If the other side can get the evidence they want without giving us a chance, that will make your case all the more difficult. Not impossible by any means, but it could be one more thing that could potentially lessen the compensation that you could get from the accident you’ve been in. Another major reason to get with our injury attorney in Los Angeles early is so that we can put you in contact with our medical professionals. When you’ve been injured, it can seem like the medical bills are literally insurmountable. It’s natural to feel overwhelmed when you see how much everything costs, even if you do have good health insurance. However, when you come to us, we’ve managed to amass a network of medical professionals who get paid on a contingency plan. That means that they’ll be able to take money out of the eventual settlement or winnings you’ll get at trial. So, that will make the financial burden on you so much lighter. Really, the goal of our attorneys is to help your peace of mind. Some people decide to try their own personal injury cases, and this almost always ends in disaster. When you’re hurt, you have to put all your mental (and emotional) focus on your own recovery, on getting better. If you’re going back to work and toughing it out, this can make it even more difficult to focus on your case. With all of that on your plate, that makes it nigh impossible to then do something you’ve never done before: try a personal injury case. By that same token, the other side is going to have no such qualms. No one at the insurance company is thinking: “I’m going to forgo our attorneys and try this case myself.” No, they’re going to put everything they have, their nigh-limitless resources, and make sure that you get as little money as possible. When you try to stand up against that yourself, it’s legitimately overwhelming. You won’t have the resources of the insurance company, and they know it. In fact, that’s one of the best reasons to come to the LA Injury Group injury attorney in Los Angeles: we can stand up to insurance companies. “Stand up” has many different meanings here. We mean “stand up” as in, when the insurance company comes to the negotiating table or wants to go to court; we aren’t just going to take the first deal they offer. We make sure to stay in constant contact with you, so that when the insurance company makes an offer, we make you aware of it. That way, you can always make the best decision for yourself and your family in your case. We also stand up to the insurance company long before anyone gets to court or even negotiation, too. For example, after your injury, one of the first things the insurance company will try to do is offer you some low, almost insulting deal. They’ll figure that you don’t know what you’re doing, you’ll have been through a difficult time, you’ll be feeling vulnerable and small, so you’ll just take the money they give you. Of course, this would be a colossal mistake. The insurance company knows how much your claim is worth. They also know they only make money if they don’t’ pay that out. It’s essential, genuinely essential to make sure that an attorney looks at anything from the insurance company before you sign it. Their business model depends upon you not doing that. Really. They have to make sure they don’t pay out what you’re owed, or else they won’t make as much money as they plan on. As hard as that might be to hear, it’s true. That’s why you need someone who can stand up to the insurance company and won’t be bullied by them. That’s where we come in. If you’ve ever tried looking for injury attorney in Los Angeles online, you know how vague the phrase “injury attorneys” really can be. Many attorneys are involved with car accidents or the like, but may not have the experience you’re looking for. For example, too many clients go to injury attorneys and then discover that they don’t actually handle the kind of injury that they have. So, the client isn’t a whole lot better off than they were before they went to the attorneys. That won’t happen here at the LA Injury Group. We gave ourselves that name for a reason: we have a group of attorneys who all specialize in different kinds of injuries. No matter what kind of injury you’ve suffered, we have attorneys who have experience in winning that kind of case, and can now put that experience to use for you. To learn more about how this works and set up a free consultation, give us a call at (818)210-4558 or head to our website.